Creditors of OAO Yukos voted Tuesday to ask a court to declare the oil company bankrupt and to appoint a supervisor to liquidate its assets — a move the court is almost certain to accept. The vote came after creditors rejected the company's recovery plan and the bankruptcy supervisor in the case said Yukos couldn't pay its debts in the time allotted by law. A court will consider the request for the declaration and asset liquidation Aug. 1. That would be the last act in years of legal proceedings against Yukos that have saddled it with billions of dollars in back tax bills, forced the selloff of its major production unit and brought the jailing of its onetime chief Mikhail Khodorkovsky. Many observers say the proceedings against Yukos are a Kremlin-driven campaign to restore state influence in the oil sector and to punish Khodorkovsky for his political ambitions and support of opposition parties. Bankruptcy supervisor Eduard Rebgun told the creditors' meeting earlier Tuesday that Yukos' liabilities exceed its assets by about $530 million. He valued the company's assets at about $18 billion. However, Zak Clement, a lawyer for Yukos, claimed the company was worth $37 billion. 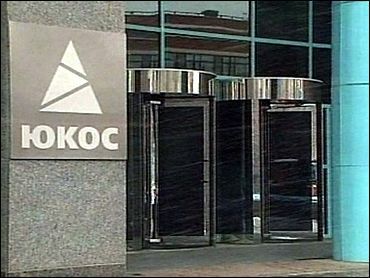 The creditors also rejected a recovery plan proposed by Yukos, which Rebgun's team said lacked sufficient details and analysis, and turned down a proposal to put the company under outside management. President Steven Theede submitted his resignation last week just before the creditors' meeting began. Yukos' biggest production unit, the 1 million barrel a day producer Yuganskneftegaz, was sold in an auction to an unknown shell company at a knockdown price in December 2004. Days later it was purchased by state-controlled energy company Rosneft, now a major creditor in the bankruptcy hearings and widely expected to gather up the company's remaining assets. A foreign consortium of banks filed a bankruptcy petition against Yukos earlier in the year in an arrangement with Rosneft that saw the energy company purchase the Yukos debt they held.